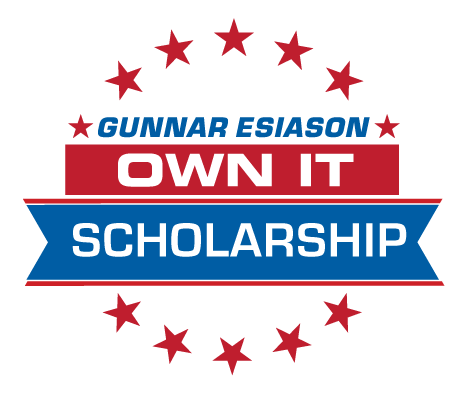 The Gunnar Esiason Own It Scholarship is part of the Boomer Esiason Foundation scholarship program. High school seniors and college students at any level will be eligible to apply. Applicants must be able to prove a cystic fibrosis diagnosis. I believe that it is important to be a well-rounded individual when dealing with cystic fibrosis, and my hope is that this scholarship will reflect that in its winners. I have used athletics, a constant want to learn and different social skills to fight cystic fibrosis day in and day out. Applicants for this scholarship must exhibit these traits in an effort to be selected. There is no more pure judgment of a person’s will, grit, and determination than athletics. I solemnly believe that high school football has played a significant role in shaping my character. I learned how to lead, follow and work as a teammate during my playing years. I have since gone on to preach that teamwork and effective leadership are at the base of all successful endeavors. The will to learn and achieve at the highest possible standard has also been part of my ever-evolving role as an advocate for people with CF, and on a more personal level with my individual fight against the disease. I think it is important to adapt with my surroundings and I am looking for applicants who are also willing to be humbled in our rapidly changing environment. Finally, I believe that college is more than just a chance to learn inside the classroom. I know that my years at Boston College taught me how to live on my own and amongst my peers. I credit my social circle in college with supporting me through the good times and bad. I think people with cystic fibrosis should be open about their disease and willing to discuss it with the people around them. Awareness comes from education and all of us living with cystic fibrosis are in a position to education the general public, and also offer a fresh perspective on life. I so firmly believe in the value of friendship that this scholarship will require applicants to submit a peer recommendation from a close friend. Recommendations from teachers, mentors or parents will not be accepted as I think it is important for people with CF to form connections with those living at their side. The Boomer Esiason Foundation scholarship committee will review the applications and choose a number of finalists to be interviewed. In some cases, I will be conducting the interviews and very much appreciate a person’s ability to communicate effectively about cystic fibrosis and life in general. For more information about the scholarship and its requirements click HERE. Good luck to all who apply! The deadline to apply for this year’s scholarship is September 7, 2018.